2012 just kicked off and we’ve already been treated to a box-office shocker when The Devil Inside delivered a $16.8 million Friday on its way to a $33.7 million weekend – an amazing feat for this low-profile “found footage” exorcism flick, especially given its R-rating. Even though we’ve still got the entire year ahead of us, it is safe to say that The Devil Inside will likely end up as one of the year’s bigger surprises. However let us now look back at 2011. The year did not live up to everyone’s expectation. For one, it was the first year since 2007 in which not a single movie passed $400 million. On top of that only two movies managed to cross $300 million. The most depressing fact, however, is that nine out of ten movies in the yearly Top 10 are sequels with the #10 spot going to Thor as the only non-sequel of the bunch. This has never occurred before. Last year half of the Top 10 consisted of “original films” and the same goes for 2009. It’s not a slam against the sequels. This just going on to show that there were only few surprises among the biggest moneymakers. That’s not to say that the year has been entirely surprise-free. As usual there was a bunch of unexpected success stories as well as some crushing disappointments. This article takes a look at which movies surprised in the most positive way last year. Let me start this off with some movies that don’t belong on the final Top 10 list, yet deserve some sort of a mention. Harry Potter and the Deathly Hallows – Part 2 ended up as the year’s clear top-grosser with $381 million. Now a huge success for this last instalment of the fantasy series was to be expected as well as that it’d become the franchise’s biggest film (it topped the previously biggest film in it by over $60 million). What still makes its performance noteworthy is that three years after The Dark Knight Rises the opening weekend record has been broken at last as Harry Potter opened to $169.2 million, $91.1 million of which it made on its opening day, besting The Twilight Saga: New Moon’s opening day (previous record-holder) by over $18 million. What is even more impressive is its record-shattering $43.5 million that it made from midnight showings alone. Of course such superlatives were to be expected from this final movie, especially given the 3D boost it got, but with numbers like these it still deserves a mention. Gnomeo and Julietwas the first minor surprise of 2011. It easily became the biggest animated opener for the months of January or February and with its $25+ million start it definitely surpassed a lot of expectations. No other “minor” animated film (little expectation, low profile and less than 3,000 theatres) has ever opened this big. Looking back that success is easy to explain as it was the first family-oriented movie since Christmas 2010 and entered a marketplace devoid of any competition. Nevertheless, this movie which curious stopped making money less than $40,000 short of $100 million is definitely worth being listed here. There have been several small-scale surprise hits during the spring months. Some of them made it into the main list, but two, while not having enough to get into the Top 10 should still be noted here. 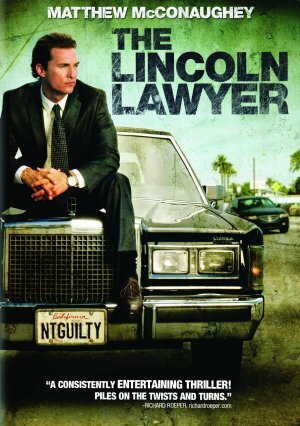 First, The Lincoln Lawyer, a law thriller starring Matthew McConaughey which quietly opened at the 4th spot in March. After its unremarkable $13.2 million opening, however, it developed some great legs, ending up with a 4.39 opening-to-total multiplier, giving the film a $58 million cume and the 9th spot among Lionsgate’s biggest films ever. Considering that seven out of Lionsgate’s Top 10 movies are either Saw flicks or Tyler Perry’s films, it is remarkable for a film like The Lincoln Lawyer to make it there. Good reviews and word-of-mouth helped it overcome the R-rating and turned it into one of the leggiest films in the first half of 2011. Movies like Runaway Jury (which had a similarly leggy run) should have been an indicator or its longevity, yet many still did not see it coming. 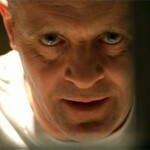 Second, there was Source Code. Duncan Jones’ predecessor, Moon, was a critical success, but didn’t exactly set the box-office on fire. Source Code, however opened to almost $15 million and then showed some great legs on its way to $54.7 million, making it Summit Entertainment’s third-biggest movie outside of the Twilight franchise. Let’s proceed with the actual Top 10. 10. Limitless ($79.2 million) – Relativity’s Limitless with its sub-$80 million gross might not seem like it belongs on this list at first. However, this was truly one of the biggest surprises in spring 2011. First of all, its studio, Relativity, wasn’t exactly a big thing back then. Prior to Limitless they distributed three films – The Warrior’s Way ($5.7 million), Season of the Witch ($24.8 million) and Take Me Home Tonight ($6.9 million). As you can see none of them was a success and there was no reason to expect that Relativity would all of sudden release a big hit. It was a very new studio afterall. Limitless with its premise of a man who gets enhanced brain functions thanks to a wonder drug didn’t sound like a breakout hit either. Its leading star was Bradley Cooper who had yet to prove himself as a bankable leading man outside of the Hangover series and ensemble romcoms. The A-Team with him in the lead disappointed a year earlier and there was no reason to expect him to be a draw. Of course the film also had Robert De Niro, but he is far from a success guarantee nowadays as shown by Righteous Kill or Everybody’s Fine. When Limitless was finally released and took the top spot with a solid $18.9 million opening it was a very good, but not all too surprising start. What was astonishing, though, is what followed. When the movie dropped just 20.4% in its sophomore weekend, we knew that we’d be in for quite some run. In the end, Limitless delivered a 4.19 multiplier and given its $27 million budget became a tremendous success for Relativity. 9. 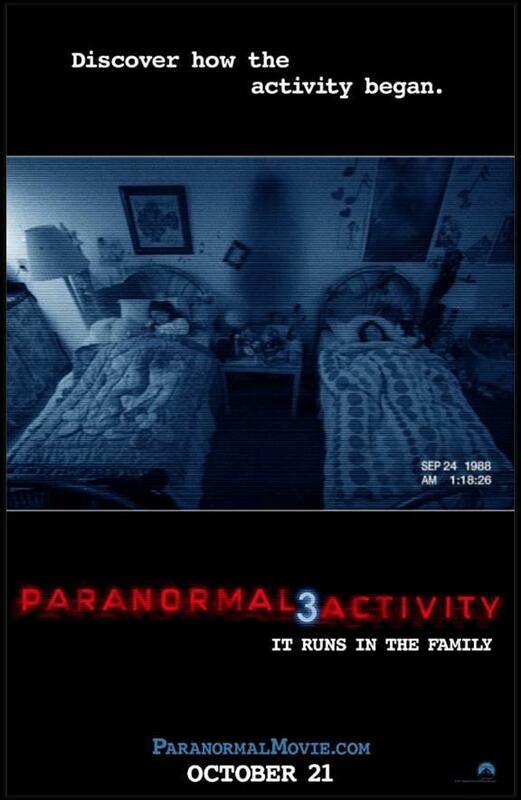 Paranormal Activity 3 ($104 million) – Paranormal Activity as a franchise can easily be called one of the biggest success stories of the past ten years and it tops the Saw series as the biggest horror series success story since the first thee Scream movies. Depending on how its inevitable sequels will do, it might actually become the most remarkable horror franchise ever at the box-office. The first film was a terrific word-of-mouth success that delivered a $107.9 million gross on a meagre $15,000 budget back in 2009. The immediate sequel, however, didn’t follow into Book of Shadows: Blair Witch 2’s footsteps and bombed, but it received solid reviews and opened to an amazing $40.7 million on its way to almost $85 million in North America alone. Indeed, it decreased from the phenomenally successful original in total, but it still had a remarkable run. 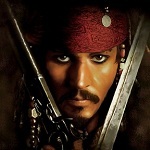 Now many expected that the series hit its peak and the downwards trend would continue with the third movie. Once the third film’s reviews hit and turned out to be quite good once again, people started to reconsider. Nevertheless, no one expected such an enormous opening. Paranormal Activity 3 broke the October opening weekend record set by Jackass 3D a year earlier and made $52.6 million during its first three days. Keep in mind that, like its predecessors, it is also rated R. That number represents the 8th-biggest opening weekend for an R-rated movie in box-office history and of course by far and away the biggest opening weekend ever for a straight-forward horror film, R-rated or otherwise. Due to natural frontloading, its legs left to be desired, but even though it missed the multiplier of 2, its $104 million total is still a significant increase over the second film, showing that the franchise definitely hasn’t run out of gas. Everyone expected some sort of success for this film (not too hard, given its $5 million budget), but no one expected it to get this close to the original and to start out in such a huge way. 8. Insidious ($54 million) – Paranormal Activity 3 was last year’s biggest horror movie by a landslide, but it still didn’t have the most interesting box-office run of all horror flicks released last year. That honor goes to the $1.5 million-budgeted Insidious. It is the lowest-grossing movie mentioned in this article and yet it deserves kudos for managing what only very few horror movies do nowadays – terrific legs. When it opened in April to $13.3 million no one thought that it would not only end up with a multiplier higher than 4, but also outgross the much more hyped April horror film Scream 4. Even facing Scream 4’s opening in its sophomore weekend and despite the usual horror film frontloadness, it still dropped just 28%. 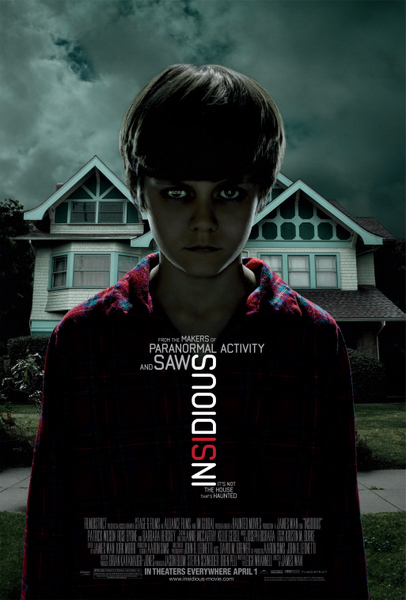 It wasn’t until its fifth weekend that Insidious decreased more than 30%. What is amusing about its terrific performance is that the film’s directing/writing duo, James Wan and Leigh Whannell have delivered another surprising horror hit in the past as they are responsible for the first Saw movie. That film had a similar $1.2 million budget, made over $55 million domestically and spawned seven sequels. However, even though Saw was very successful and displayed rather unusual longevity for its kind of a film, it wasn’t nearly as leggy as Insidious. If you also consider that it was the first movie that Film District ever distributed, you realize that Insidious was a truly remarkable success story that will inevitably lead to follow-ups as well. 7. Rise of the Planet of the Apes ($176.7 million) – This prequel/reboot emerged as one of the more exciting box-office performances among the rather predictable summer blockbusters. When the project was first announced as a prequel with James Franco as its leading actor and a fairly unknown British director at the helm most box-office followers expected it to be an utter financial disaster. Afterall, the last take on the popular Planet of the Apes franchise was the financially successful, but critically maligned “re-imagining” by Tim Burton in 2001. That film had the then-2nd-biggest opening weekend of all-time ($68.5 million), but displayed fairly bad legs for its day and age, finishing with just $180 million. Rise of the Planet of the Apes (or Caesar as it was known when it was just announced) looked like a project nobody really wanted to see. It might have been true too if not for Fox’ aggressive and very well-handled marketing of the film which allowed for a great $54.8 million opening. That was still quite a bit less than its predecessor’s start despite having ten years of inflation as an advantage. The really impressive part followed, though. Unlike most summer action blockbusters, Rise of the Planet of the Apes defied the rules and ended up with truly solid legs, getting a multiplier of 3.23 and almost catching up to Planet of the Apes’ total. For a summer blockbuster that most expected to be the big flop of the summer, its box-office performance is nothing short of amazing. It was Fox’ marketing push that convinced the audiences to give it a try and the film’s great quality that made sure the word was spread and the audiences kept coming. 6. The Lion King 3D ($94.2 million) – In retrospect maybe the re-release of The Lion King making big numbers shouldn’t have been as shocking as it was. We are, afterall, talking about an animated film that has held the record of being the highest-grossing animated feature for eight years and during that time was the only animated film to have grossed more than $300 million. On home video it broke all records. The film entered the marketplace at the perfect time when there were virtually no other family-oriented movies around that were still doing good business (Spy Kids: All the Time in the World was in its 5th week and outside of the Top 10 already. Those were great circumstances for a beloved film and of course the 3D bonus paid off here. Nevertheless if you look at it from the other perspective it shows how impressive that breakout still was. Sure, The Lion King was a beloved film that many would like to see on the big screen. However, similar re-issues of popular movies have failed to live up to expectations in the past. The best example is the 20th anniversary re-release of E.T. which, despite strong marketing and a 3,000+ theatres release still made just above $35 million back in 2002. 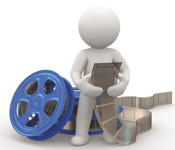 Thanks to the huge home video market re-releases have become a thing of the past – or so it seemed until The Lion King which opened to a terrific $30.2 million from just 2,330 venues giving it the 4th-biggest September opening ever. It went on to make over $94 million which makes it the most successful re-release since Star Wars in 1997. The fact that this film despite its age and availability on DVD a short time after the theatrical release still made more in theatres than movies like Zookeeper or The Adventures of Tintin speaks for itself. 5. Mission: Impossible – Ghost Protocol (~$215 million) – The Mission: Impossible franchise has always been a great cash cow for Paramount. Even though its last instalment disappointed with just $134 million at the domestic box-office, it still made almost $400 million worldwide allowing for another sequel getting the green light. Five years after the third film, Mission: Impossible – Ghost Protocol hit the screens – with an unusual December release date to boot. 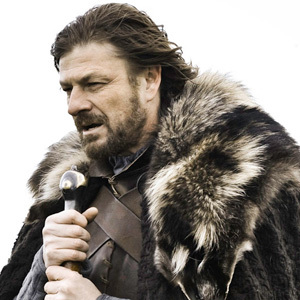 What was more unusual about its release, though, is the unprecedented release pattern for a major studio blockbuster. Paramount realized that December 2011 was way too crowded for Mission: Impossible – Ghost Protocol to compete in wide release right away. Afterall, its main competitor, Sherlock Holmes: A Game of Shadows had a $209 million-grossing predecessor and Mission: Impossible seemed to be a franchise on the decline. So Paramount trusted in the film’s quality and decided to release it in IMAX theatres only in its first weekend, giving this major blockbuster a limited first weekend release. The strategy paid off and the limited opening was an astounding success. The film made $12.8 million from 425 locations for a $30,000+ average. It went wide next weekend and climbed to the top spot of the box-office where it has managed to stay for two weeks. The movie quickly turned from what could have been a total disappointed to the must-see movie of December and surpassed the predecessor’s total gross on the 18th day of its release. The IMAX-only release pattern helped the word-of-mouth to spread and gave the film its great legs. Right now the film has its aim firmly set at $200+ million and might very well surpass the series’ highest-grosser, M:I-2 ($215.4 million). Considering Tom Cruise is far from the box-office magnet that he used to be in the States and the third film’s disappointment, this is a terrific number that most outrageous predictions didn’t dare to mention. 4. Fast Five ($209.8 million) – Mission: Impossible – Ghost Protocol is a tremendous success, but there has been one action blockbuster sequel that stunned even more in 2011. That would be Fast Five. Now some of you might wonder about me placing the film this high. One could argue that Mission: Impossible’s predecessor made less than Fast Five’s predecessor and it will end up even outgrossing Fast Five, thus having a much bigger increase over the previous instalment. While the argument is understandable, I will still disagree. The thing with Fast Five is that it was coming off a really successful instalment of what was considered a dying series. The Fast and the Furious: Tokyo Drift made just $62.5 million in the States. Now Universal managed to get all stars of the original back together for the fourth film and that reunion resulted in huge numbers. Fast & Furious opened to $71 million, making it the biggest April opening weekend ever and went on to gross $155.1 million. It became the biggest movie in the franchise. Now that kind of success was also somewhat surprising, but easily explainable by the return of the original cast and thus the “freshness” of the whole thing (I know it sounds paradoxical). The audiences have waited for Vin Diesel to return to the franchise that made him a major action star. However, Fast and Furious opened to bad reviews and its legs weren’t any good. That and the lack of the entire cast reunion novelty suggested that Fast Five would, at best, match its predecessor’s performance. The main remarkable thing about the film was the addition of Dwayne “The Rock” Johnson to the cast who hasn’t had a major action hit in a while as well. What happened then? The movie surprisingly scored by far the best reviews of the series and opened to a thunderous $86.2 million. Not only did this become by far the biggest opening weekend of April, it also went down as the 5th-biggest opening of 2011. To add to this huge surprise, the movie actually developed legs better than its predecessor and increased over it by over 35% which is an incredible achievement for a fifth movie in a franchise. It also became the first Fast/Furious movie to end up in the yearly Top 10 where it’ll place as #7 once Mission: Impossible – Ghost Protocol will overtake it. The movie’s success was an incredible way to kick-start the summer box-office season (in April, no less!). 3. 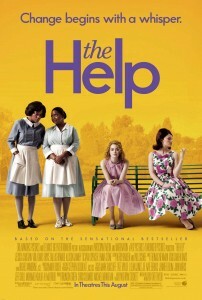 The Help (~$170 million) – It might not be an action summer blockbuster, but it did become a blockbuster in the summer. Its $26 million #2 opening back in August was already a great success. Little did we know that it would not only climb to the top spot next weekend, but stay there for three weeks in a row. This $25 million 137-minutes long drama which doesn’t have any huge actors or actresses in its cast ended up making more than summer releases like Kung Fu Panda 2, X-Men: First Class or Super 8. The only reason why it is not on top of this list is that we have had a movie that tapped into a similar kind of success two years ago – The Blind Side. That film went on to make more than $250 million, but then again it also had the sports theme and Sandra Bullock in its lead, a much bigger star than anyone in The Help. The Help became the true WoM drama hit of the year. 2. 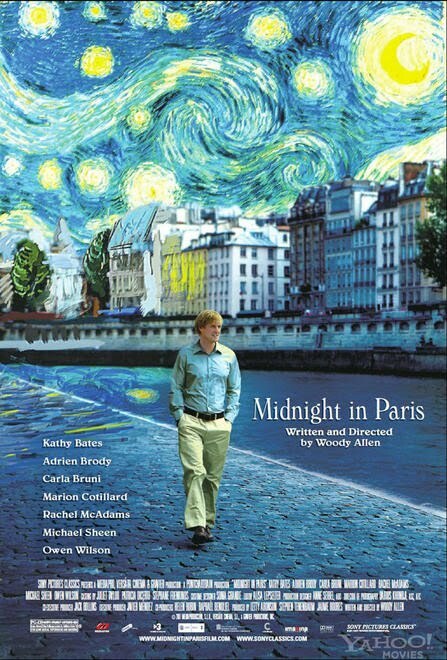 Midnight in Paris (~$56.5 million) – Many might disagree with this placing of Woody Allen’s time-travelling comedy this high on the list. However, this is just where it belongs. We have had some terrific word-of-mouth hits last year, three of which are on top of this Top 10 list. Midnight in Paris was a definite success, but compared to many other movies here, its sub-$60 million total definitely pales. Nevertheless, I’d still argue that no movie this year had word-of-mouth as extraordinary as Midnight in Paris which explains the movie still playing in theatres 35 weeks after its release. Even WoM overachievers like The Blind Side, The King’s Speech, Avatar and Slumdog Millionaire had shorter runs than this. Furthermore, it is a Woody Allen film. Now Woody Allen’s biggest film used to be Hannah and Her Sisters which made just above $40 million back in 1987. This record for Allen has stood for over 20 years until Midnight in Paris crushed it in its 9th weekend. When the film came out, most expected a Vicky Cristina Barcelona/Match Point-like success at best, meaning a $20-25 million gross. But Midnight in Paris opened to an amazing $99,834 average from six theatres and while it has never even grossed $6 million on a single weekend, it managed to have ten weekends above $1 million and hasn’t dropped 50% or more a single time until its 30th (!) weekend. It became Sony Classics’ 2nd-.biggest film ever (behind Crouching Tiger Hidden Dragon) and only their second movie to make more than $30 million. Not to mention that it was actually their first film in three years to even pass $10 million. It is an absolutely unique success for Woody Allen and finally made the director more of a household name. 1. Bridesmaids ($169.1 million) – At this point this probably doesn’t come as much of a surprise, but it is impossible to stress enough how huge the film was. Bridesmaids didn’t have a single extremely popular member in its cast. Kristen Wiig hasn’t headlined a movie before and Apatow hasn’t delivered a huge hit since 2008 with Step Brothers. But their writing/producing/starring combo proved to be a real success. Bridesmaids opened second to Thor’s sophomore weekend, taking in $26.2 million in its opening. Initial word-of-mouth indicated that it’d go on to make $100+ million, but few realized how far it would go. What is truly amazing is that in this summer, filled with R-rated comedy success stories (Horrible Bosses, The Hangover Part II, Friends with Benefits, Bad Teacher), Bridesmaids held its own. The key to its success: its cast and topic appealed to females, while the raunchy humor got the men into the seats. Even then, this movie outdid the likes of The 40-Year-Old Virgin, Knocked Up and Superbad. Not only did it top its domestic cumes, it also delivered a much better multiplier than all of those films. Its 6.44 opening-to-total multiplier tops those of Wedding Crashers, The Hangover or American Pie and those are already considered to be insanely leggy comedy success stories. Bridesmaids could top that even while facing the R-rated comedy behemoth The Hangover Part II in its second weekend. Both films co-existed well and Bridesmaids played terrifically throughout the summer, never dropping over 50% and only dropping more than 40% on a single weekend. It was a major success story, unparalleled last year. This is it for last year’s biggest success stories, but I’ll be back with 2011’s most remarkable box-office disappointments. Very nice list. Hard to argue with. I might put Apes above Lion King, though. Very nice list. I might swap Apes and Lion King. Plus I would also swap Fast Five and Mission Impossible even with your explanation because FF series was already launched by Part 4 and was going to have a huge weekend regardless of Rock which just boosted its potential a very similar situation will be true for MI5, plus the competition of SH2 is much much bigger than Thor even in terms of final gross. Great article and I see where you're coming from with FF. I know some talking heads were questioning Cruise's box office draw before MI4 came out, but if you were to ask anyone which movie they thought would perform better, FF or MI4, I think everyone would respond that MI4 was the favorite.